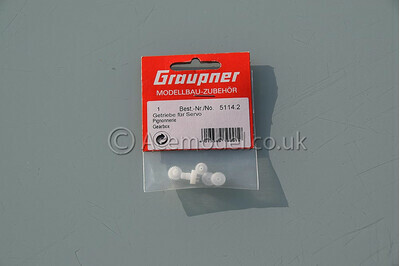 Replacement gear set for the Graupner C141 or C1081 servo. There are no building tips for this model. If you have any please share them by writing a review. To check the shipping cost add the item to cart, click continue shopping, then click on the cart top right of the page and select view basket. Then you see the calculate shipping link near the total price. Small items are shipped using Royal Mail and larger items including models are shipped by UPS, DHL, TNT, Parcelforce depending on country.